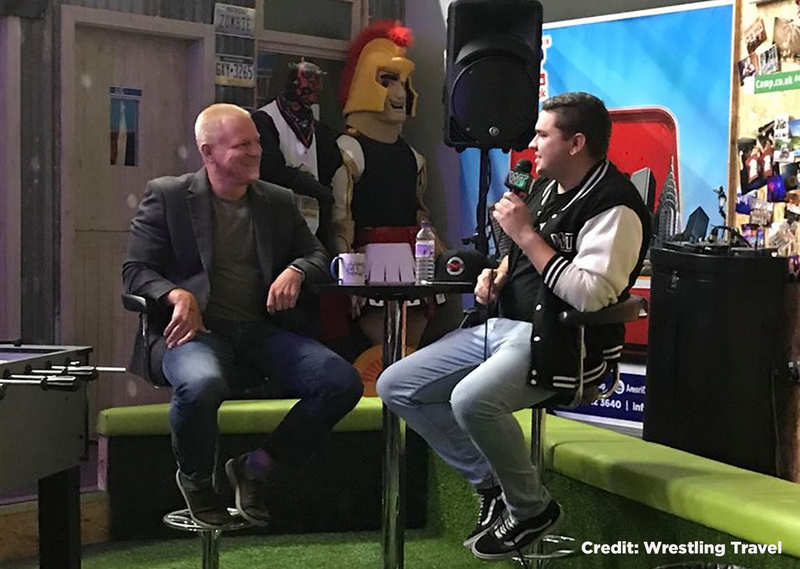 Imagine meeting one of the men who were responsible for you becoming a wrestling enthusiast, well thanks to Wrestling Travel that happened at their FREE Manchester meet-up on Saturday evening with none other than TNA Founder and Former World Heavyweight Champion Jeff Jarrett. If you don’t already know, Wrestling Travel creates bespoke wrestling travel packages for your chosen wrestling event. Whether you’re an individual or part of a group. These packages include; return flights, accommodation, transfers and event tickets. Thanks to their three-tier system they have an option for you to create your own package around your budget and needs. If its WWE, New Japan, Ring of Honour, Impact Wrestling, Progress or AAA, Wrestling Travel has you covered. The event’s doors opened at 6 pm at the utterly unique Invasion HQ in Salford, Manchester. Trust me this office is immense and the layout for Saturday’s event was as equally as impressive. AmeriCamp and Camp Canada’s office was transformed into a WWE2K19 and FIFA19 tournament hang-out, whilst the central space was laid-out for the 8 pm Q&A with Jarrett and the quiz that followed after. The Q&A was the main attraction for most if not all in attendance. To be able to pluck the mind of Jarrett was amazing and I’m sure the host on the night (pictured right) will never forget it. Several questions were asked by the host, most notably about Jeff’s hair vs hair match with Dr Wagner in Mexican wrestling promotion AAA, how it came about him being in NWA Heavyweight champion Nick Aldis’ corner at ALL IN, his views on British Independent Wrestling, his newfound support for League Two Tranmere Rovers, contracts in wrestling, his thoughts on ex-Wigan, Fulham and Hull midfielder Jimmy Bullard and who he predicts will be inducted in the 2019 WWE Hall of Fame! That’s what Jeff revealed about his hair vs hair match with Dr Wagner. He added the match fell perfectly in place this time and his kids aren’t a fan of his new hairstyle and nor is his wife Karen. Jarrett said it was Aldis who reached out to him to be in his corner for All IN and that it was honoured to do so. He also revealed that at this point of his career, this was the only time he wasn’t under contract with a company and this was solely his decision to appear at ALL IN. He went on to praise Cody and the Young Bucks on their production of ALL IN. When referring to British Independent Wrestling, Jeff said the last 24-36 months have been huge for the British independent scene and that British wrestling fans are incredible, but he feels the British fans have been great since the ‘World of Sports days’ in the 70s and 80s. He added, in 2006 when he had a match with AJ Styles in 1PW’s World Title qualifying in Doncaster, he was amazed when AJ’s ‘I am I am’ theme hit and all fans in attendance sang it word for word. 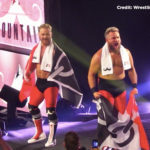 He also mentioned that he feels British independent wrestling was ahead of that in the US and independent wrestler used to be referred to as ‘outlaws’. He finished off by saying he can’t wait to be the special guest referee for Grado vs James Storm in Scottish wrestling promotion, Insane Championship Wrestling at The SSE Hydro this Sunday. The King of the Mountain? Or should I say the King of Prenton Park? Wrestling Travel co-founder Lee McAteer has persuaded Jarrett to be a fan of League Two Tranmere Rovers. Jeff said this came about when talking to Lee about joint business ventures, and that when the picture (seen above) was posted online, the internet ‘blew up’. When asked about talent’s contracts in wrestling, Jarrett said a promotion would usually directly deal with the wrestler themselves. 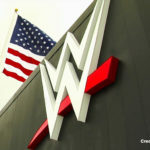 However, several wrestlers started turning to agents or ‘the 10%ers’ – the words Jeff used to describe them, to negotiate ‘the best deal’ for them. He said Kevin Nash was one example of a wrestler who used an agent in the late 90s and early 2000s. It’s not every day you hear those words to describe Soccer AM’s co-presenter Jimmy Bullard. However, that is what ‘Double J’ thinks of him. When asked about his ‘beef’ and views on Bullard, Jarett thinks he’s a ‘little p***k’ for calling him out. Jeff then turned his attention to the name of the show ‘Soccer AM’, he was baffled as the why the show was referred to as soccer and not football – this is when I thought it was necessary to jump in and reveal to him that the word ‘soccer’ is, in fact, a British creation, to which he responded ‘I’ve got to hear this!’ and passed me his microphone. I continued to explain the Brits took the game of football over to the US, and it was referred to as both. The word soccer stuck in the States and since then that is what it has been known as. 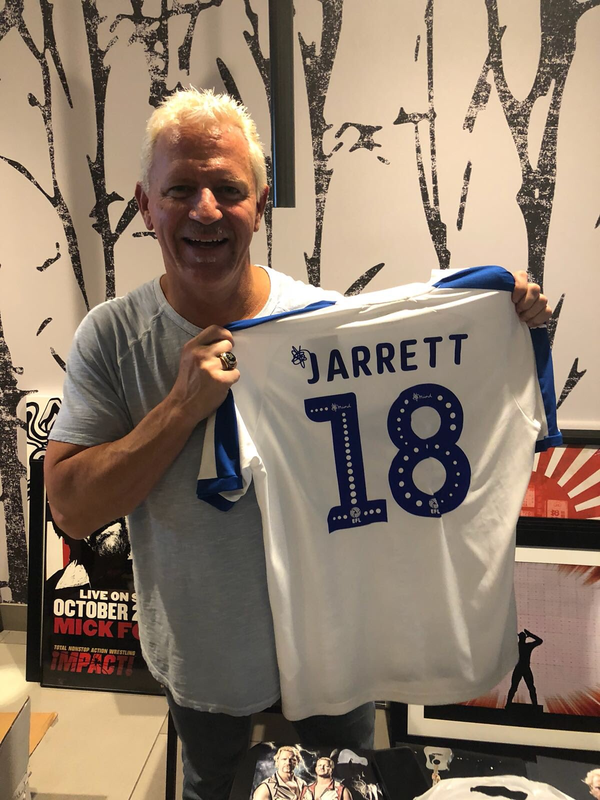 Jarrett then went on to say that his hometown of Nashville, Tennessee will be getting their own MLS team soon and that the location for their new stadium will be located ‘eight blocks’ from where he was brought up. It was now time for a few questions from those in attendance. Three questions were asked, the first asking Jeff to tell us a story about the late great Owen Hart. Jarret praised Hart as an individual and jokingly said ‘if Owen was here today, he’d rip into everyone here’. He added that Owen’s widow, Martha has commissioned a documentary on his life and that we will all thoroughly enjoy it when it is released. After asking this question, I realised that there are only four ‘TNA originals’ who are currently in WWE – unless James Storm is under some sort of contract with WWE again but is only working for partner independent promotions such as ICW. Jarrett said his team would consist of AJ Styles, Samoa Joe, Bobby Roode and Eric Young. He was stumped on the fifth member, but much like all in attendance, he didn’t realise that there were only four possibilities. He did, however, say my question was a ‘good one’. The third and final question to Jeff from a fan was, ‘How did it feel to be inducted into the 2018 WWE Hall of Fame?’. Jarrett’s opening to this reply was exactly how I expected. He said ‘imagine how surprised you were when you heard the news I was being inducted. Times that by 10,000 and that’s how shocked I was when I received the call and was told’. He added that he left his ring in the hotel room and that it was an honour to be inducted. He went on to say ‘being inducted into the Hall of Fame will stick with him until the day I die’ and that when he ever gets introduced anywhere now that ‘WWE Hall of Famer Jeff Jarrett’ is the way in which he does so. The Q&A finished with one last question from the host. He asked Jeff if he had any early predictions for the 2019 Hall of Fame. One of WWE’s best know factions and a group that mainly consisted of Triple H, Shawn Michaels, Billy Gunn, Road Dogg, X-Pac and Chyna. But at times included Stephanie McMahon, Rick Rude, Tori and even Hornswoggle. Are one name that ‘Double J’ thinks could be going into the 2019 WWE Hall of Fame. After he revealed this, he then opened the question up to those in attendance. Some stellar names were thrown at the former six-time NWA World Heavyweight Champion. Names such as; Christian, The British Bulldog, William Regal and even The Undertaker were suggested. Jeff picked up on a fan’s suggestion of The Undertaker and questioned whether this year would be the one we see The Deadman inducted. The fan said he feels WrestleMania 36 will be Taker’s last and it is the right time to induct him – me personally, if the plan is to induct the Phenom in 2019, then it wouldn’t make sense to book him in a match at WrestleMania. I feel the best time to induct Taker would be in the 2020 Hall of Fame and letting him retire after one last match at WrestleMania 36. Following the Q&A Jarrett posed for photos and signed autographs, before leaving the event to make his way to Glasgow. It was after he finished taking photos that I went over and had a brief conversation with him. I can’t thank Lee McAteer and Wrestling Travel enough for making this a possibility, to talk to a man who was a pioneer for my love of wrestling was amazing. I shuck Jarrett’s hand, told him how much of an IMPACT (pun intended) he had on me growing up as a wrestling fan and joked with him about ‘allowing him to take the word soccer being and British creation’ to the US and sounding impressive to others. A wrestling quiz swiftly followed Jeff’s exit. This was a fun way to conclude the event with some real testing questions. I and my wife would team up, sporting the team name ‘The Power Couple’. The quiz consisted of three sections, the first was 10 mixed promotion and decade questions with 12 possible answers. The second was a ‘put a name to the face’ – this was where we did best. The final part of the quiz was a ‘guess the name of the wrestling theme’, this gave use snippets of certain wrestler’s theme song and we had to guess the song title, the name of the song and which wrestler/s used it. Though we battled valiantly, we, unfortunately, did make the top three. Prizes were given to the three teams with the highest scores. Third place went to team WrestleProUk, they were awarded with the ‘absolutely everything you need to know about WWE’ book. Second place was awarded to an individual fan, he won a WWE battle pack set of Charlotte Flair and Ric Flair. First place blew the scores away with an astonishing 50. Their prize was two tickets to any Fight Forever Wrestling event. So that is how the event panned out. Overall, the event was so brilliantly put together and I’m sure those in attendance, including myself won’t forget. For those who didn’t attend, I can assure you, you missed out massively!